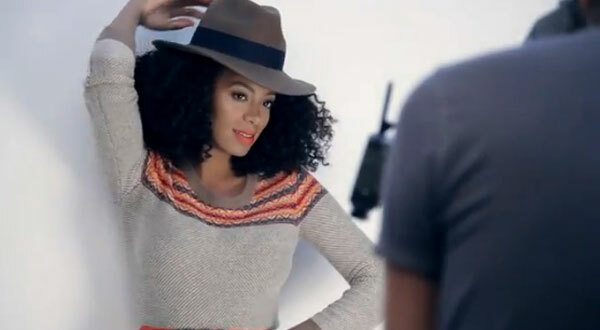 American retailer Madewell recently launched their fall 2012 campaign with ads featuring Beyonce's eccentric younger sister Solange Knowles. The ad campaign shows off Madewell's casual, yet stylish pieces that can mixed and matched for the perfect "guy's girl" look. Solange also brings her edgy persona that makes the clothes look cool and easy to wear. Although there are many menswear inspired pieces, the color and cuts of the pants and tops are flattering for several body types. There are also dresses and skirts that are simple enough to pair with flats or boots, but girly enough to wear with heels. The collection also includes shoes from flats to rain boots that range from classic solids to bold colors and prints. Madewell also provides bags and other accessories that are as versatile as their clothing. Madewell is defiantly a one stop shop for everyday pieces that make a statement. Solange is definitely up there in terms of style :) She just effortlessly rocks anything and it makes me really happy when actually stylish celebs make it as the cover girl for a brand. Love they guy's girl looks! This collection sound just like what I would love. Got to check that out! Thanks for sharing!